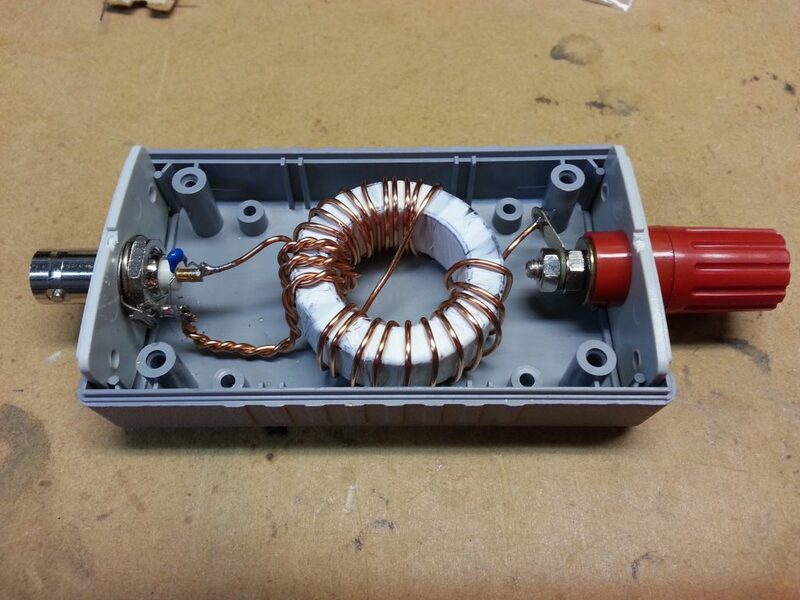 The so-called End Fed Half Wave antenna system has become more popular, particularly in the form of a broadband matching transformer in combination with a wire operated harmonically over perhaps three octaves (eg 7, 14, 21, 28MHz). The broadband transformer commonly uses a medium µ ferrite toroid core, and a turns ratio of around 8:1. Flux leakage results in less than the ideal n^2 impedance transformation, and a capacitor is often connected in parallel with the 50Ω winding to compensate the transformer response on the higher bands. The sign of reactance – challenge solution gave a solution to the challenge, and The sign of reactance – challenge discussion provided some discussion about the problem and solution. 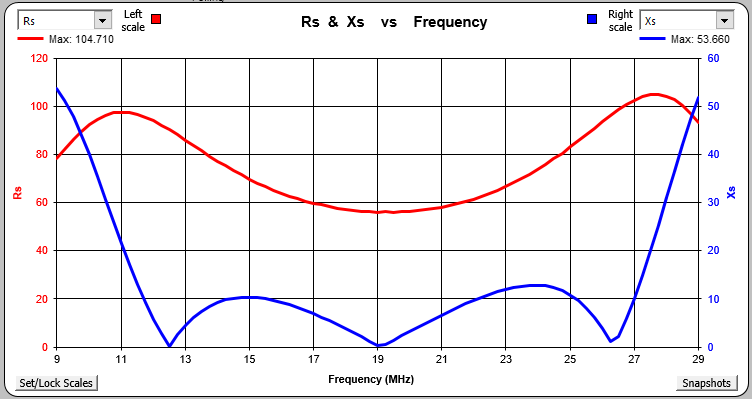 Measurements of Insertion VSWR of UHF series connectors consistently show increasing Insertion VSWR with frequency, an issue that often impacts measurement accuracy. My own article Exploiting your antenna analyser #12 is but one of many. 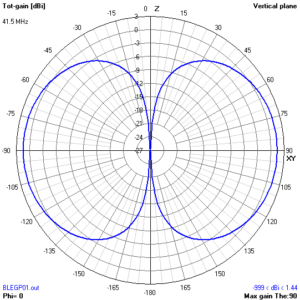 Measurements consistently hint that the defect is that the characteristic impedance is typically somewhere between 30 and 40Ω. What is a Ground Plane Antenna? 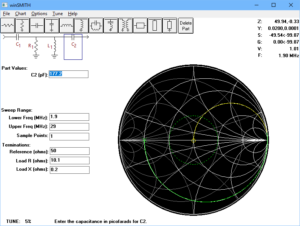 Ask half a dozen hams to define a Ground Plane Antenna and you will probably get half a dozen different answers, yet it is thought of as one of the basic antenna types that newcomers will be introduced to in their education. There seems credible acceptance by some writers that the Ground Plane Antenna was invented by George Brown (more completely Brown, Lewis and Epstein (BLE)) from RCA, and is described in US Patent 2,234,333 for a Demountable Antenna filed in 1939. The patent does not call the thing a Ground Plane Antenna, but it does describe what could be naively described as a quarter wave vertical radiator with four equally spaced quarter wave horizontal radials (plus some other embellishments). BLE gives the dimensions for the antenna at 41.5MHz and offers that the feed point impedance is 21.5Ω, transformed up to (the then popular) 70Ω transmission line by his custom quarter wave transformer (part of the invention). 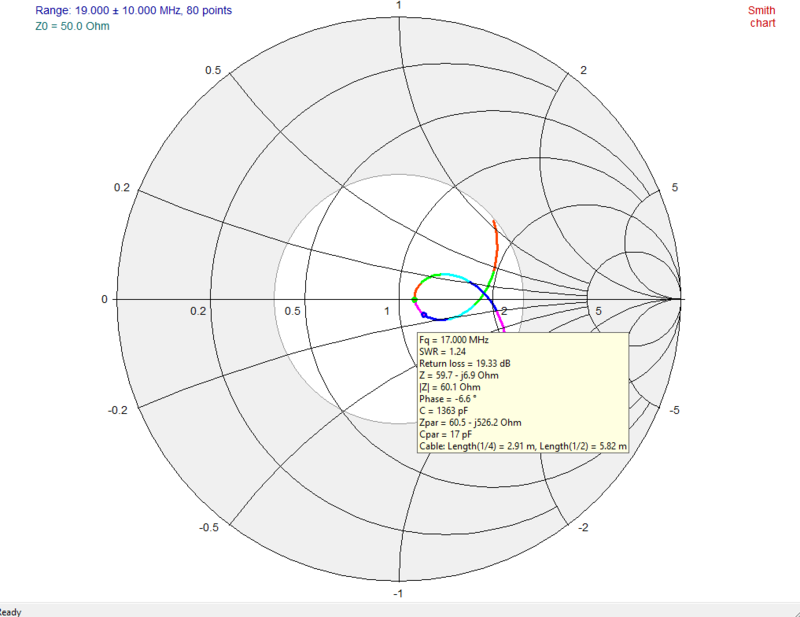 Lets look at an NEC model of the vertical quarter wave and four quarter wave radials alone (ie in free space). 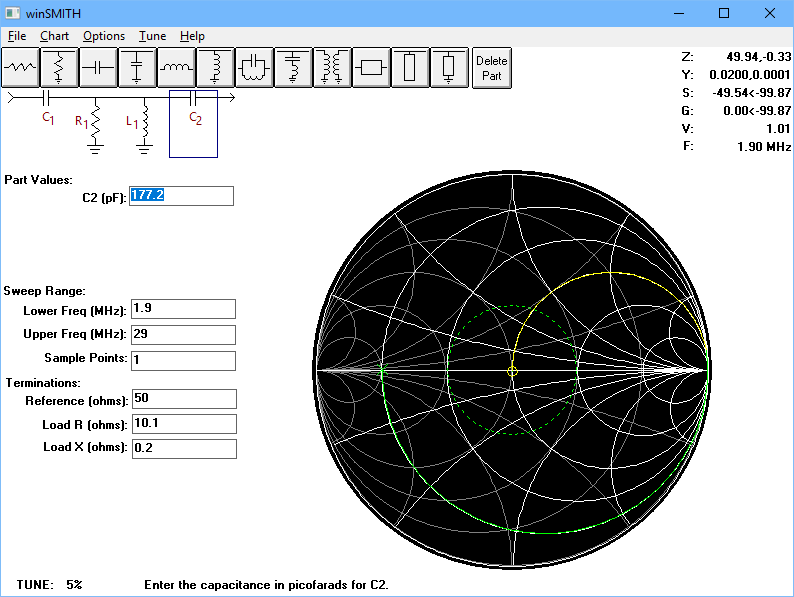 An NEC-4.2 model gives the feed point impedance as 23.4+j6.11Ω. 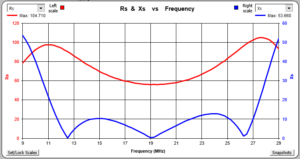 The reactance is not surprising since the elements are actually slightly longer than a free space quarter wave, and resonance would occur at a little less length. Importantly, the R value is in the ball park of their estimate, so that reconciles reasonable well. BLE do not give a gain figure, but the gain of a lossless model in NEC is 1.44dB. Above is the pattern, no surprises there (unless you were expecting it to look like a quarter wave monopole on perfectly conducting earth). 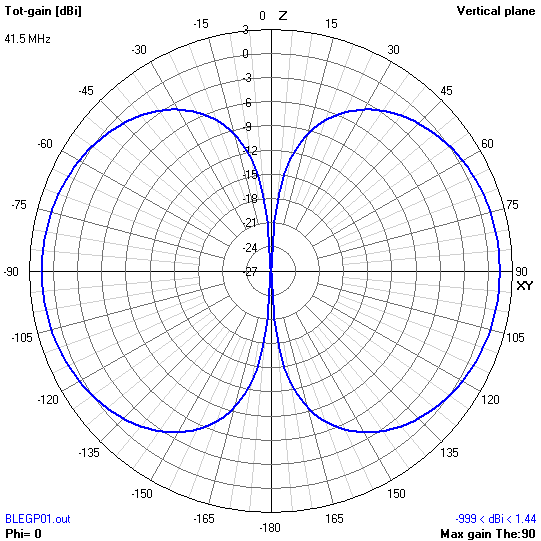 Continue reading What is a Ground Plane Antenna?